Securing financing is one of the most frustrating parts of the car buying process. It’s a confusing and drawn out process that is quick to reject loan seekers who have less than perfect credit. And when you really need or want something different to drive, being denied financing is a major disappointment. 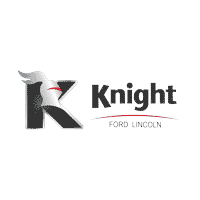 Avoid that anxiety, uncertainty, and dejection by working with the financing team at Knight Ford Lincoln instead. We will use all the resources available to us to find you generous loan offers with fair terms. Then, we will work carefully with you to help you identify the best options for your budget over the short and long term. When you sign, you sign with confidence. More car buyers from Regina, Saskatoon, Swift Current, Weyburn, and Assiniboia buy from Knight Ford Lincoln because they know how eager we are to close the deal. Instead of turning you down, we would rather hand you the keys. When financing isn’t a hassle, buying a car is actually fun again.